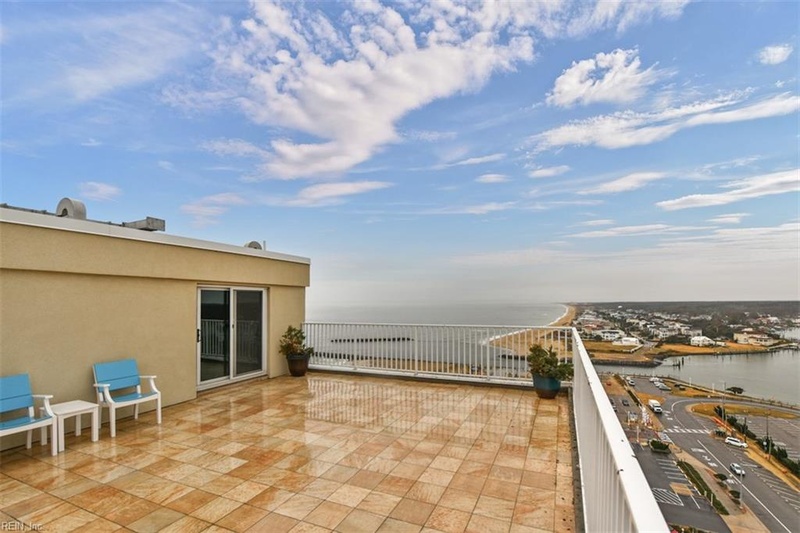 Before you balk at the $1.4M price tag, look at all the amenities in this multi-level apartment on Virginia Beach! 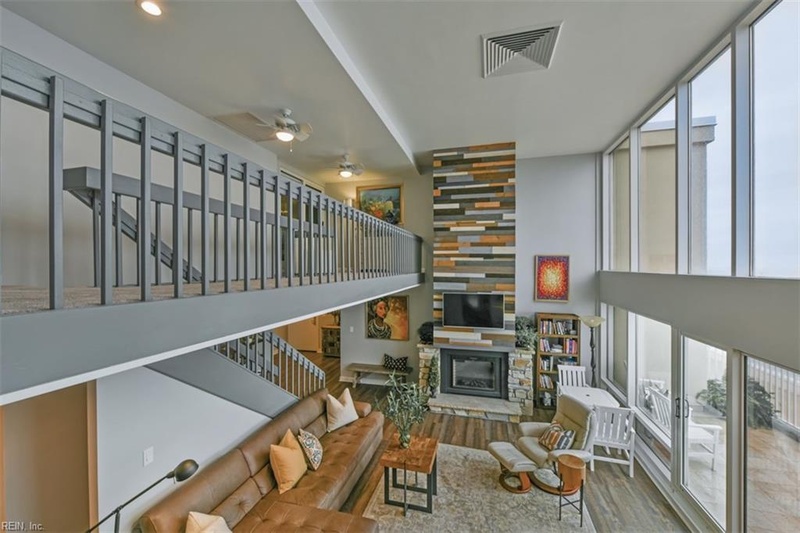 With three bedrooms and three baths in 3,000 square feet, this is quite a spacious apartment. 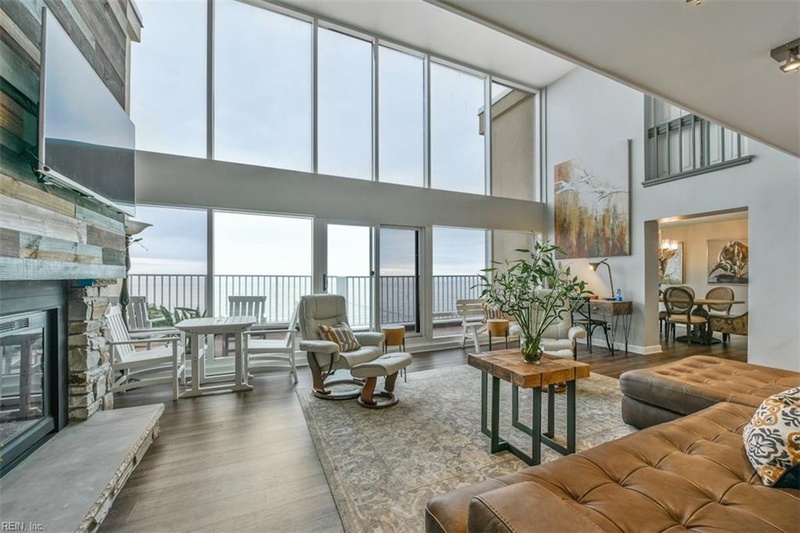 Located at 303 Atlantic Avenue in Virginia Beach, Apartment 1503 has to be seen to be believed. 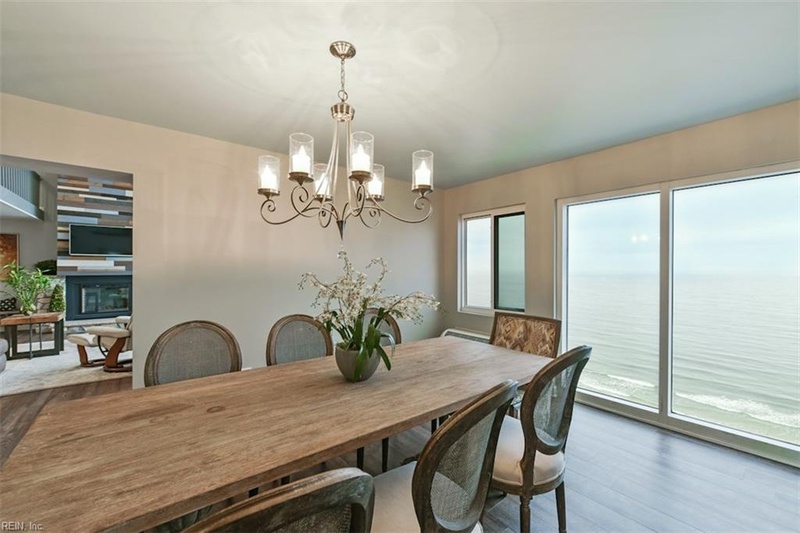 As soon as you enter the foyer and walk into the great room, you are struck with the beauty of the ocean view. 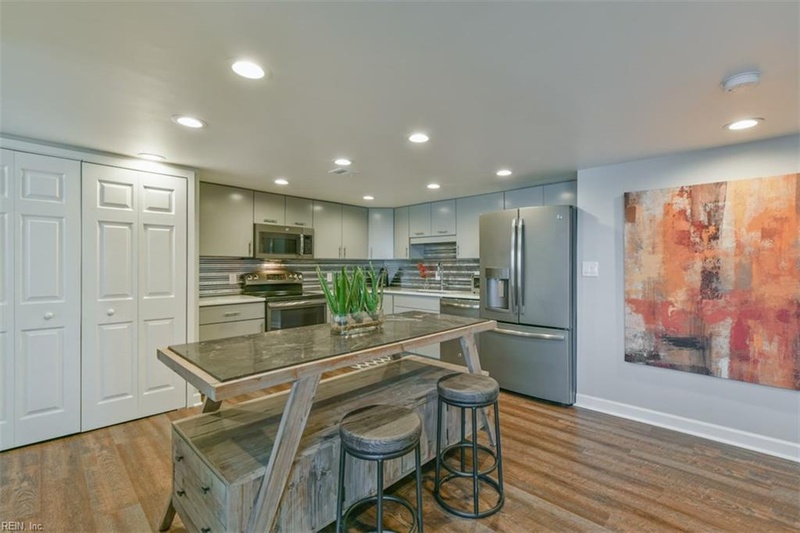 The modern kitchen has everything you need while maintaining a sleek simplicity. The eat-in kitchen island space flows naturally into a formal dining room with that same amazing view. The second floor of this airy home looks down upon the living space and shows its true scale. The focal point is clearly the intricate gas fireplace and dramatic floor-to-ceiling windows. Can you imagine watching a storm roll in from this vantage point? Each bedroom has its own outdoor space so you can be lulled to sleep by the sound of the waves. Better yet, have a late night snack on your balcony. The rooftop space is perfect for dining, entertaining, or early morning yoga. Can't you just imagine having your coffee up here? When the weather is rough, you can always swim your laps in the heated pool downstairs. If it's warm enough, just head out to your front yard for a dip in the Atlantic. 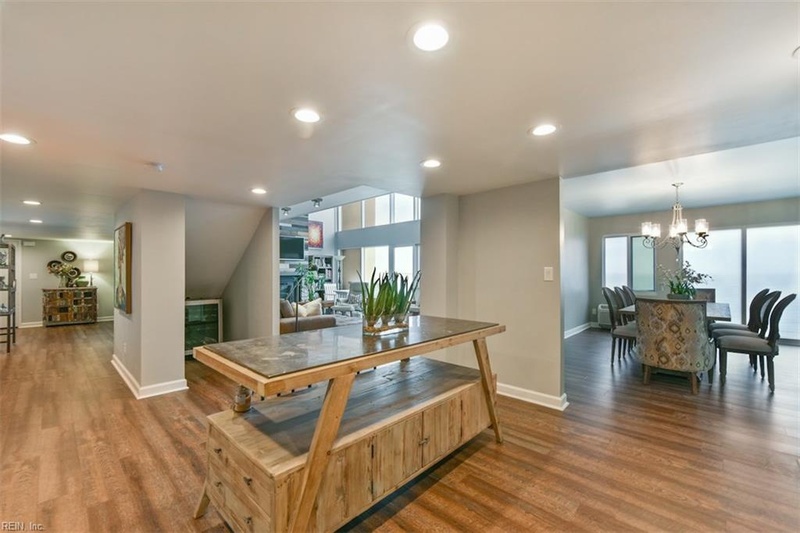 **All of the photos in this article are courtesy of Broadsight Realty. 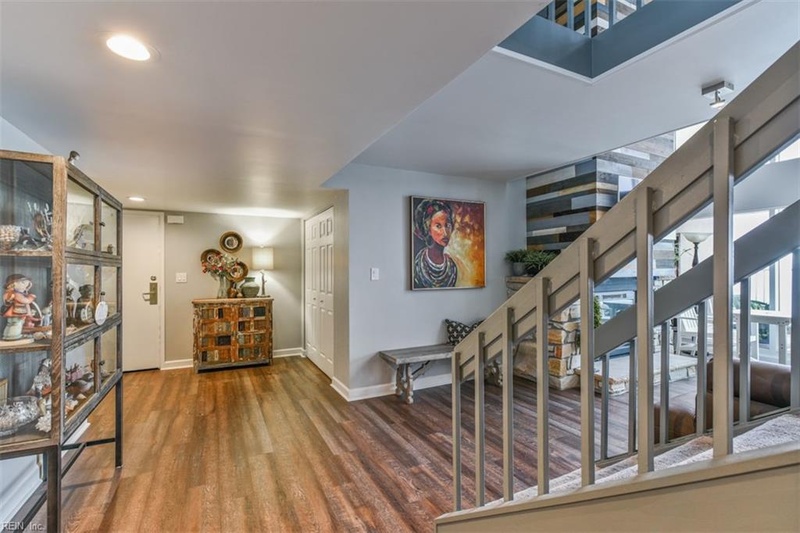 For more information about this beautiful home, visit the original listing by Broadsight Realty. 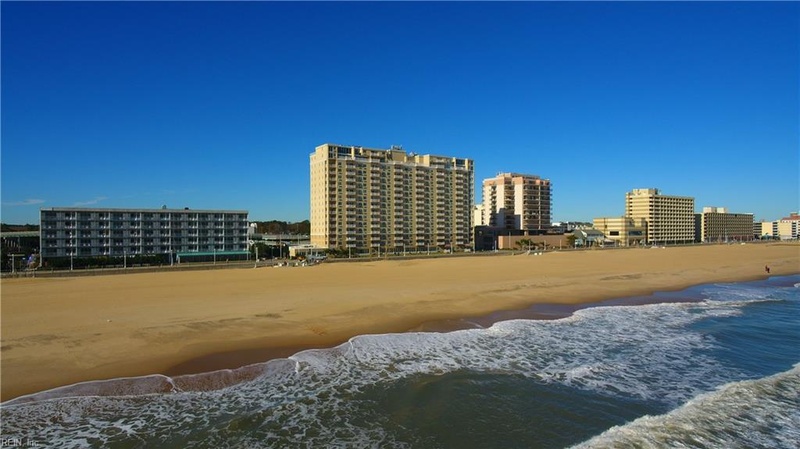 The property address is 303 Atlantic Avenue, Apartment 1503 in Virginia Beach, VA. The list price is $1,400,000. 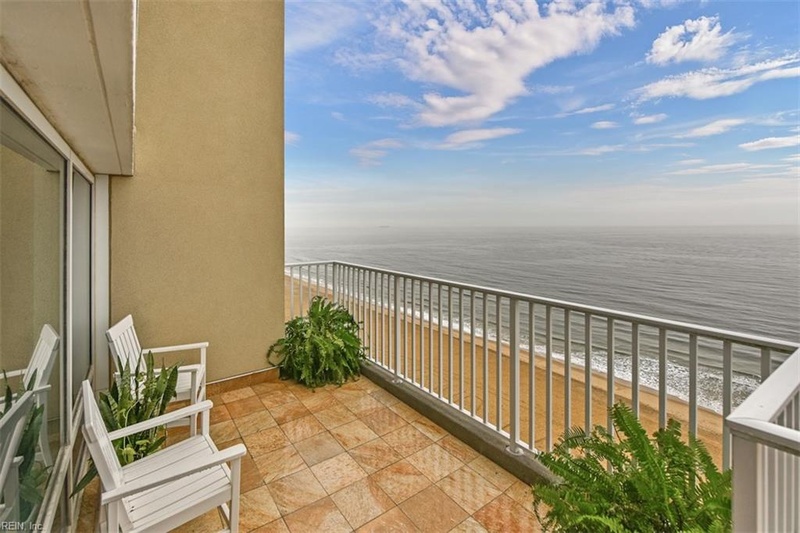 What would you do with this lovely oceanfront apartment? 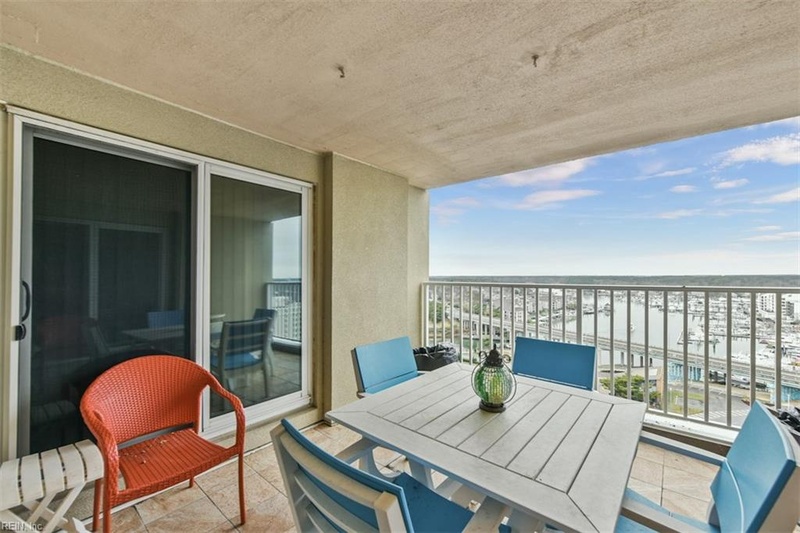 Make a home office with a view of the Atlantic? Install a potted herb garden on the upper balcony? Let us know in the comments below. Want more? Check out this three-acre property on the Occoquan River!